Essential oil diffusers blanket the air around you with wonderful aromatherapy scents and benefits. Physically and mentally, essential oils have proven beneficial in a number of ways. 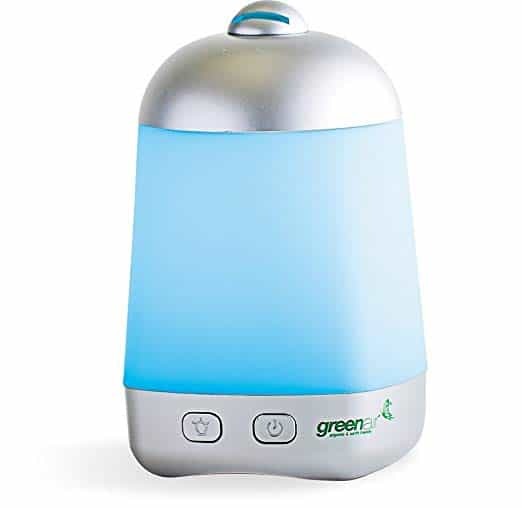 Humidifying diffusers, like the Greenair Spa Vapor + Advanced Wellness Instant Healthful Mist Therapy model reviewed here, use water and a fine misting method to fill your air with healthy essential oils. This model recently received some upgrades worth noting, so let’s see exactly what you get. What’s Great About the Greenair Spa Vapor + Advanced Wellness Instant Healthful Mist Therapy? Who is the Greenair Spa Vapor + Advanced Wellness Instant Healthful Mist Therapy Diffuser Perfect For? This new and improved version of the #1 bestseller in the Aromatherapy Diffusers category at Amazon has received a couple of upgrades. The old model had the power button on the bottom. You had to pick the unit up to turn it on and off. This design flaw has been fixed, with the on/off switch on the front of the unit. This new model is also BPA free, meaning a healthy impact on the environment. Also, the advanced ceramic disc used here means your diffuser lasts longer. More importantly, it also prevents any breakdown in your essential oils, guaranteeing a purer product. 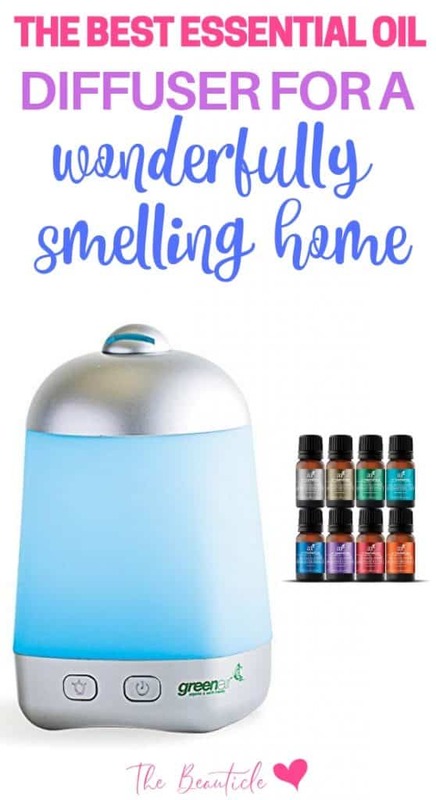 If you purchase through Amazon they have conveniently arranged a deal with Green Air to offer this affordable essential oil diffuser in packs of 1, 2, 3, 4 and 6 units. So you can fill all your home, office and travel diffuser needs with one simple purchase. This unit is 4″ wide x 4″ deep x 6″ tall and includes a safety-minded auto shut off when it runs out of water. Used properly, you can expect up to 5 hours of essential oil diffusing in a room up to 250 square feet. As an added feature, you can choose to use with or without 6 rotating LED lights which create a soothing and relaxing effect for some users. Some previous purchasers mentioned a problem when adding water to the suggested fill line. The manufacturer has since recommended filling the water reservoir half way to provide for the largest cover area and longest run time. 2) Lights can be set with rotating colors that can be alternating, or locked onto one color, or no lights at all. 3) Has a power cord that is easily detachable so moving and filling is very easy. 4) You can rotate the little nozzle on the top with out moving the entire unit so direction is easily changed. 5) Turns off when it runs out of water. Important to me as I quite often use this by my bed at night. 1) A better indicator of the fill line. This is important because if you fill it too much it will not work. My daughter fount this out when using it while I was out of town. More water is not better. Fill only to hard to see line inside. That being said, that is the only thing I think I would change. I would recommend and will probably buy additional ones for gifts and to have around the house although it is easily transported. Steady, reliable, modern diffuser used daily in my house. If you want to protect your precious essential oils from breaking down in a less efficient diffuser, this model deserves your consideration. You also benefit from the addition of a humidifier and optional rotating LED lights. The Greenair Spa Vapor + Advanced Wellness Instant Healthful Mist Therapy diffuser is a perfect purchase for aromatherapy enthusiasts that demand a highly rated product at an affordable price, while also receiving a purer essential oil experience than with cheap evaporating and heating diffusers. Get our specially created Essential Oils Uses Chart and expand your collection of essential oils with these healing oils that provide a variety of benefits. Our printable essential oils chart includes the safety information for each oil, how to use them and all their other benefits.